I know what you’re thinking: Who cares about drawing realistic dirt? What possible difference does it make? For many artists, dirt is. . . well, just dirt, and not nearly as interesting as water or as monumental as mountains. A few swipes of color and a little bit of shading is all you really need. Right? For most subjects, that’s probably true. But if you enjoy making landscapes or other outdoor scenes, it’s important to know how to draw dirt in a manner that fits your subject and style. That’s I’m sharing a few basic tips for drawing realistic dirt. Maybe you’ve never thought about how you draw dirt before! If so, that’s OK. It’s not the most glamorous subject and the most notice it gets is either in the form of rocks, or as an unimportant part of the overall composition. It isn’t that difficult to draw almost any kind of soil so it looks believable and fits into the overall composition as though it’s meant to be there, rather than an afterthought. Here’s a portrait I drew sometime ago. I used watercolor pencils with watercolor paper to lay down the foundation, then finished with regular colored pencils. The setting was a specific racetrack with a distinctive color of sand. There were also specific types of soil and cover on the winner’s circle, which is visible in the middle ground on the left. Since this was a “moment in time” portrait, all those things had to be correct. But there is still a distinct difference between the sand on the track and the ground in the winner’s circle. I laid down washes of color in several layers, letting each wash dry completely before adding the next. The initial wash was a red-gold base color that covered everything. Next came layers of darker, cooler browns in the shadows and to add details. Final details were added with traditional pencils. I worked on four versions of this portrait before getting it right. One of them was entirely traditional colored pencils, and I documented that process for an EmptyEasel article. Read How to Draw Realistic Dirt, Ground, & Soil with Colored Pencil on EmptyEasel for more tips. The Sentinel, shown below, was drawn entirely with traditional colored pencils. This path is a little outside the ordinary because it didn’t appear in the original composition. I finished the entire piece, then decided it needed something to more clearly direct the eye to the trees. What could be better than a path? So I had to first lift as much color as possible with an eraser. Next, I added the path by layering fresh color over the areas that had been erased. The end result was much more satisfactory. The same method—without the erasing of course—can be used for any drawing. For step-by-step instructions, read How to Correct Mistakes or Rework a Finished Colored Pencil Drawing on EmptyEasel. Sometimes all you need to do is find the right support. A colored paper or unique surface texture, and you’re halfway there. That was the case with this miniature drawing. I used a piece of cured Silver Maple for the support. The drawing was an experiment. I wanted to see how well colored pencil worked on wood (it works beautifully). Ironically, this one was the easiest of all. I simply used the wood grain for the exposed soil along the bottom of the composition. A few accents and details made the wood look like dirt for this miniature drawing. The bottom line is that it isn’t that difficult to make any patch of ground in your composition look like it belongs there. Any one of these tips will help you do it, or you can think outside the box and find your own ideas! Let’s see how Faber-Castell Polychromos pencils compared to Caran d’Ache Luminance pencils when used side-by-side. Since both brands are on the expensive side, this is valuable information if you’re considering either one. Like most artists, I have a long list of items on my To Be Purchased list. Top on that list are colored pencils. Faber-Castell Polychromos pencils are among my most desired colored pencils. I’ve wanted to try these oil-based colored pencils since first learning of them years ago. Caran d’ache Luminance pencils are also high on my list and my curiosity was first sparked by this video review. But neither set is inexpensive, so which to choose first? The following review comparing these pencils provides a basis on which to make a decision. The review is provided by Emmy Kalia on YouTube. Emmy’s YouTube channel and her web site feature tutorials in colored pencils and graphite with a special focus on human subjects. Some of her most interesting videos are about drawing hair and skin tones. As I mentioned above, this video is very interesting, as well as being informative. I’m most interested in the ability to draw with an eraser after laying down color with both pencils. I’ve found some ways to lift color with Prismacolor, but it’s nowhere near as easy as Emmy makes it look in this video. Drawing with a knife—a process known as sgrafitto—is also intriguing. I’ve done a little of this with Prismacolor pencils but have never been very happy with the results. Perhaps I’m just using the wrong pencils! But what about choosing which pencils to buy first? My heart was still set on a set of Polychromos after watching this video. I’ve been wanting those for years and finally got a full set in 2017. But I’m once again drawn by the prospect of being able to draw light over dark and you can’t do that with Polychromos. So Luminace are still on my To Be Purchased list. If you’ve used either of these pencils, share your thoughts on why you would—or wouldn’t recommend them to another artist. Caran d’ache Luminance Pencils web site. Today, I want to talk about the things you need to get started with colored pencils. I want to keep it simple, and I want to answer some of your questions if you’ve been considering colored pencils, but have no idea about the best way to begin. Colored pencil art intrigues you. You want to try it. I confess. I’m guilty of the same kind of talk. I also confess that I was once right where you are now. Wanting to try colored pencils but not sure how to start. Or what to buy or how much of it. One of my goals with this blog and with every post is to help artists at all levels avoid some of the mistakes I’ve made. That includes clearing up some of the confusion about basic supplies. My list is divided into three parts. I have a basic list, an expanded basic list, and an Everything & The Kitchen Sink List. There are so many useful, fun, and cool things on my to-be-purchased list, that this method is the best way I’ve found to prioritize purchases. This post covers the first two lists because, quite frankly, I could make two or three posts just on the third list, and still not mention everything. The Basic List contains the minimum amount of things you must have in order to try colored pencil drawing. It is the most simple list, and the least expensive. In most cases, you can find these items locally. No shipping or handling! If you’ve never tried colored pencils before and you’re not sure how you’ll like them, this is the list for you. You may still be able to find many of the materials and supplies locally, but you will also probably have to do more searching. Online shopping will generally produce better prices and less footwork. If you’re serious about getting started with colored pencil—and sticking with it—this is your list. It’s advisable to buy the best tools you can afford. A few artist quality pencils will give you a better feel for the medium than a large set of student grade pencils. 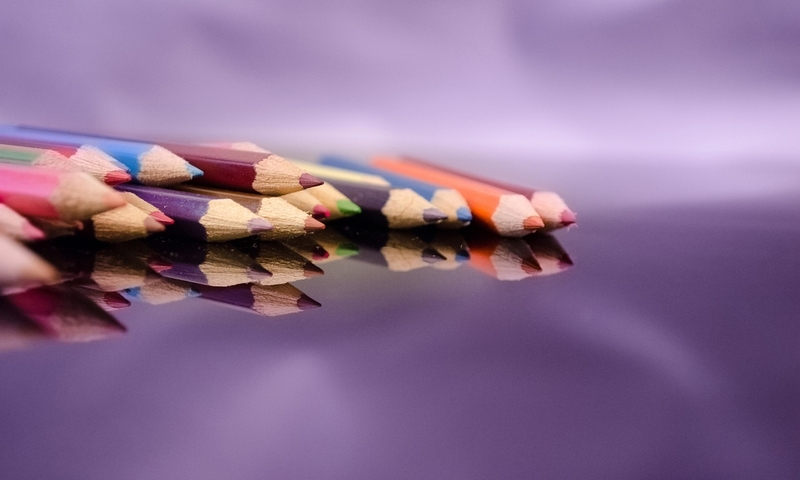 The higher quality pencils usually have less filler and a higher ratio of pigment to binder than less expensive pencils. You can buy less expensive pencils, if you wish. That’s how I started. But I wasn’t aware of the differences and soon found that cheap wasn’t always less expensive. NOTE: I realize that not all of my readers are in the United States. If you are not and cannot get some of these supplies, substitute whatever is available where you live. Now on to the lists! I warned you the list was basic! But paper can be confusing enough on its own, so here are some ideas to get you started. One 9×12 pad of Rising Stonehenge paper, either white or the toned paper. I recommend white. It’s easier to see if what your pencils can do on white paper. If you can’t get Rising Stonehenge, get a good, basic drawing paper like Strathmore 400 series paper. One 24-pencil set of Prismacolor Premier Soft Core pencils. This set has the basic colors (reds, blues, greens, yellows, black, and white) with enough variety to let you experiment, without burdening you with colors you may not use or unnecessary expense. As I write this, I’m working on a drawing using nothing but the colors in this set. And not all of those. NOTE: Roughly half the colors in the Prismacolor line are not lightfast, meaning they will fade over time or if exposed to direct sunlight. I’ve put together a list of the colors that are top-rated for lightfastness. If you can buy pencils individually and if you’re interested in making fine art, take this list with you when you shop. A pencil sharpener is a must. A simple, hand-held sharpener is all you need to sharpen pencils. Prismacolor makes a very nice one for a few dollars, but you can also get them anywhere school supplies are sold. A mechanical pencil sharpener will give you better sharpening with Prismacolor pencils, but I have also used hand-held sharpeners with good results. The Kum sharpeners are a good value. The Kum wedge sharpener is made with two openings, one for standard size pencils, and one for larger pencils. There are a number of good erasers available for colored pencil work, but I recommend getting a good click eraser, such as shown below. They are a pencil-like tool into which you can insert the eraser. They’re great for fine detail erasing as well as general erasing. The Pentel Clic Eraser is the one I use. Note: All of these items can be purchased locally most of the time. I can buy them all with a single trip to Hobby Lobby. If there’s an art store, office supply store, or university near where you live, you can probably find them all there. These are tools you can add to the previous list or, in some cases, replace similar items on the previous list. A pad of Bristol. Bristol paper is heavier than Rising Stonehenge. It’s available in two finishes: Vellum and Regular (or smooth). Regular surface is very smooth. The vellum finish is a little softer, but still not as soft as Stonehenge. I’ve used both Bienfang and Strathmore. Both are good papers, but they’re so smooth, they don’t work well for my drawing methods. They are ideal for learning, though, and are the go-to papers for a lot of colored pencil artists. You can also add larger pads of paper. Or smaller, whatever is your preference. For a paper with more tooth, try a pad of Canson Mi-Tientes. They come in pads of assorted colors, earth tone colors, and grays. I’d suggest a pad of assorted colors, which includes white. Replace the 24-pencil set of Prismacolor Premier pencils with a 36-pencil or 48-pencil set of Prismacolor Premier pencils OR a small set of some other brand, such as Faber-Castell Polychromos, Lyra Rembrandt Polycolor or Caran d’Ache Luminance. Be prepared to pay more for these, but better performance and more lightfast colors are worth the expense. A colorless blender is also a handy tool to have. A colorless blender is essentially a colored pencil without pigment. It’s made with the same wax binder the colored pencils are and it’s used to blend colors. Use it just like a regular colored pencil to blend without adding additional color. Get a good, low cost electric sharpener instead of a hand-held sharpener. They’re usually available starting at around $30. One package of mounting putty. Look for Hand-Tak, Poster-Tack, Blu-Tack or similar. Handi-Tak or similar brands. Mounting putty is a soft, moldable substance most commonly used to hang posters. Tear off a piece, shape it however you want, stick it to the back of a poster and press the poster against the wall. But it’s also very useful in lifting color from a drawing. You can make it whatever shape you need to lift color. It’s also self-cleaning. Work it in your fingers and the color disappears! This is a handy template—usually very thin metal—with a variety of standard shapes cut into it. To use it, lay it over your drawing and erase through one of the openings. The result will be that shape on your drawing. You can also add color using an erasing shield. A large brush is handy for sweeping away eraser crumbs. You can use your hand, but doing so runs the risk of accidentally marking your drawing. You can also blow the crumbs away, but a brush is easier to use. Look for a large brush with soft bristles. Drafting brushes are ideal. You’ll notice I didn’t mention solvents. That’s because there’s enough to be said about them that they require their own post. You can, of course, use solvents with colored pencils. Many of us do. I do, in limited form. Solvents are liquid tools that allow you to blend colored pencil. Standard solvents are odorless paint thinner, turpentine, rubber cement thinner, and rubbing alcohol. They can speed the drawing process, but you also need to use them with care. I’ve put together a PDF download shopping list that includes all three of my shopping categories. Click here to get my Everything You Need to Get Started with Colored Pencils shopping lists..
I’ve been hearing a lot of good things about Derwent watercolor pencils. After using the Derwent watercolor pencils for a few months, it’s time for a review. I purchased a set of 12 colors, along with a pad of Canson L’Aquarelle 140 lb hot press watercolor paper at Hobby Lobby. The pencils retailed at $25.99 and the paper at $24.99, but I used a 40% coupon on both items. TIP: If you shop regularly at Hobby Lobby, go online and print their 40% off coupon. You can use it only once and it applies only to the most expensive item you buy (not the entire purchase,) but it’s a great way to get new supplies and a good deal. Since I did most of my work on the watercolor paper, I’ll share my thoughts on that, as well. Derwent packages their tins with a shrink wrap cover inside the tin, so you can remove the tin’s lid and see the pencils before you buy them. A very helpful feature if you buy retail from a brick-and-mortar store. The pencils are stamped in easy-to-read silver, with color names and color numbers clearly visible. They come pre-sharpened, and with the approximate colors on the end of the pencil. Approximate because they aren’t all 100% accurate. It’s a good idea to make color swatches to see the actual color once you buy the pencils. Most of the pencils in my set were in excellent shape and ready to use. Only the Burnt Ochre broke when I sharpened it the first time, but that gave me an opportunity to test Derwent’s customer support process. My understanding before buying these pencils that the Derwent company is very quality conscious and is quick to replace defective stock. I found that to be true. I emailed the company and told them about the set I’d purchased and the pencil with the broken pigment core. True to expectation, they emailed me back within a few days and offered to replace the pencil if I wished. I could still use the pencil—yes, even the broken pigment core—so I didn’t ask for a replacement, but it’s good know they were so willing to help me. Derwent is a British company, so they use the Blue Wool Scale for lightfast testing. Two identical dye samples are created. One sample is placed in darkness and one in the equivalent of sunlight for three months. A standard test card is also put in the same lighting conditions and the samples are then compared. Fading is rated on a scale of 0 to 8, with 0 being the poorest and 8 the highest. A rating of 8 signifies a color that doesn’t fade at all and can be considered permanent. Of the twelve colors in the 12-pencil set, four have an “8” rating, one is rated “7”, two are rated “6,” and the other five are 5 or below. Most professional artists either don’t use any color rated 5 or less for fine art or they don’t sell the originals. Fading colors can be used to create artwork if all you plan to do is sell reproductions. However, these ratings are all for dry pigment. They apply only if you don’t use water to activate the color. Since the purpose of watercolor pencils is to use them wet, I set up my own lightfast test. I made a swatch of color for each of the pencils. Each swatch is labeled with the color name, the number, and the Blue Wool rating (in parentheses.) At the bottom of the page is information on the pencil, the paper, and the test I started the test. This swatch shows the dry color. Next, I activated half of each swatch with water. This also gives you a good idea of how will the strokes disappear with a minimum of blending. I have found that strokes disappear entirely with a few more strokes of a wet brush, or if you use more water. When the samples were dry, I covered the center portion with a piece of opaque paper and taped it in a south-facing window. This is the result after four weeks. Dry pencil on the right, water-activated on the left. The only color that appeared to have faded at all was the Imperial Purple (rated 4,) and the fading wasn’t obvious. The fact of the matter is that the ball point pen I used to label the test faded far worse than the colors. The 8-week check looked like this. I don’t know about you, but I didn’t see much difference. That was encouraging, to say the least. Back into the window for the test sheet. I checked them again at the 12-week mark and this is what I found. There does appear to be some dulling of the color, but it’s not significant. However, I need to make two points about my test. One, it’s in no way scientific or conclusive. We had a lot of gray days this spring, so the exposure of the colors may not have been as strong as it could have been. Two, I didn’t use very much water to activate the color. The more water you use, the more likely the colors are to become fugitive. However, given my results, I’d have no difficulties using all of these colors (except maybe the 4-rated and less colors) for fine art if I didn’t plan to sell the original work. From the first stroke to the last, these pencils were a delight to use, even on a paper that I was previously unfamiliar with. Color goes on with ease, even with light pressure. They have a soft almost creamy feel when used dry. Not quite as soft as Prismacolor, but much softer than Faber-Castell Polychromos, for example. They’re also fun to use when you apply color wet. I did a lot of work by wetting a brush, stroking the brush across the sharpened pencil, then brushing the color onto wet or dry paper. Remember I mentioned that broken pigment core? I wasn’t too upset because pieces of pigment core can be dissolved in warm water to create liquid pigment. It’s a great way to blend colors before putting them on paper. I’ve drawn several pieces on different types of paper. I’ve also used them wet and dry, and tried several different ways to use them wet. As I prepare this post for publication, I’m working on a sky and cloud study for a tutorial, so you can see how they perform in action. What Do I Think of the Derwent Watercolor Pencils? I’m a little disappointed so many of them are fugitive. The pencils are so easy to use dry and wet that it’s a shame five of them are too fugitive for my liking. But that is the only strike I have against them. Colors lay-down very smooth, the pencils are highly pigmented. The earth tones, blues, and greens are perfect for landscape and animal art, even in just the 12-pencil set. Time will tell on the fade rate, but I have no objections to using all the colors for sketching and studies, and will be using the lightfast colors for finished pieces. So if you want to try watercolor pencils, but don’t have a lot of money to spend, you can hardly go wrong with a small set of these. And What about the Canson L’Aquarelle Paper? Most of the work I did with Derwent Watercolour Pencils was on Canson L’Aquarelle Watercolor Paper. I was as pleased with the paper as with the pencils. It’s very much like Stonehenge Aqua in feel, and performs pretty much the same way, too. I bought 140lb hot press because it’s smoother than cold press watercolor paper, so is more suited to colored pencils. The 9×12 inch pad contains 25 sheets, so it’s about a dollar a sheet. I cut the sheets in half for my small works. It would also be ideal for ACEO art, since it’s heavy enough to withstand the use of water. The only thing I haven’t yet tried with it is dry drawing. As soft to the touch and smooth as it is, I have no doubts it will perform well for that application as well. Are Prismacolors Right for You? There’s been a lot of back-and-forth about Prismacolor pencils over the last several years. Some artists love them; some hate them. After all the debating, you have only one question. Are Prismacolors right for you or not? Last week, I shared reasons you might want to try colored pencils. This week, it seems appropriate to answer some of the more common questions about Prismacolor pencils, and give you tips for deciding whether or not Prismacolor pencils are right for you. I always like to provide a little background for discussions like this, because background can provide insight into present day problems. Don’t worry. It’s going to be brief and personal. I started using Prismacolors back in the 1990s, when they were Berol Prismacolor. There was no better pencil so widely available (in the US at least) and at reasonable prices. They were a high-quality pencil and problems like breaking leads, split casings, and off-center pigment cores were unheard of. At least I never heard of them. I had no problems with the pencils. They were perfect for the work I was doing, which was almost exclusively horse portraits. Sometime since then, Prismacolor changed hands. Berol sold the brand to Sanford, which subsequently sold the brand to Newell-Rubbermaid. Manufacturing changed location and artists began having problems shortly afterward. I used Prismacolor throughout all those changes, and to be honest, I had very few problems with them. One batch of Indigo Blue pencils were so gritty I couldn’t use them. Some pencils did break during sharpening or drawing, and there were a few that broke so much, they were useless. I did discover (or maybe started noticing is a better way to say it) that quite a few pencils had off-center pigment cores, and I learned still later that sharpening problems often result from off-center cores. More recently, I started finding pencils that were warped. Fortunately, I usually buy open stock from a local suppler, and learned how to check for warped pencils, so that problem was solved. But overall, I’ve had relatively few problems with Prismacolor pencils. Then came the spring of 2017. Early in 2017, I started hearing a word that aroused concern. Lightfastness. Specifically, the poor lightfast ratings of many Prismacolor pencils. I believe I mentioned that I was using colored pencils almost exclusively for portraits, right? Portraits people were paying a good amount of money for. I’d also started doing landscapes, which I hoped to sell. So it was discouraging (to say the least) to discover that some of my favorite blues and greens, as well as a number of other colors, were fugitve. They faded over time, even in the best conditions. How permanent were all those portraits I’d created? Would I start hearing from clients about disappearing portraits? It still gives me a twinge of concern thinking those thoughts! So I went through my pencils, and sorted out all the fugitive colors. The pile of safe colors was almost the same size as the pile of fugitive colors, but I confess I erred on the side of caution. I threw out everything rated III, IV, or V.
I still use the other colors and I still love the way they go onto paper and the effects I can get. I also still miss colors like Sky Blue Light, Light Cerulean Blue, and Limepeel. But I refuse to use them for anything except sketching and filling in my monthly habit tracker. All of That to Say This…. It means that what I’m about to say is being said from the standpoint of personal experience. Nothing more, nothing less. You want to know if it’s safe to use Prismacolor pencils or not, and I’m here to tell you it is. Depending on what you want to do with your art. So how can you know if Prismacolors are good deal or not? If adult coloring books are your thing, then by all means invest in that full set of Prismacolor pencils. I don’t do very much in the adult coloring book line—I don’t have much time, to be honest—but I have read plenty of articles about the subject written by artists who do. Almost to the artist, they recommend Prismacolor because of the smooth color lay down, wide variety of colors, reasonable cost, and availability. I do, too, and for all the same reasons. In fact, when I doodle with a coloring page, I often use those fugitive colors. You’re making greeting cards, coloring in adult coloring books, or doing crafty things. Color permanence doesn’t concern you. Color selection, ease of use, and price do. Prismacolors are probably your best choice. There are over 150 colors altogether. They lay down like a dream, and blend beautifully. You can get them almost anywhere in the United States, and in most cases they’re a good value. They’re also artist-grade, which means pigment quality is high. That means you’ll get a lot more color per pencil than you’d get if you purchased student-grade pencils. You think you’ll enjoy them, but you don’t know. You’re not interested—right now—in making art for sale. You just want to draw. You also don’t want to spend an-arm-and-a-leg on something you may not enjoy. But you want to try the medium with the best quality tools you can find. Prismacolor is the answer. They offer students and beginning artists the best combination of quality and value around. Yes there are better pencils, but they’re more expensive. And there are cheaper pencils, but they’re lower quality. Even if you get them at a bargain basement price, you may soon find they don’t put much color on the paper or are a struggle to use for other reasons. Prismacolor is, in my opinion, the only way to go if this describes you. The fact of the matter is, you often keep your originals yourself because you like them so much, or you give them to family members or friends. What you sell are reproductions. Most reproductions are made with lightfast inks, so the lightfastness of the pencils does not matter. At. All. Use every pencil in the set, lightfast and not-so-lightfast. Get top-notch photographs or scans of the finished pieces, and sell reproductions to your heart’s content! Then give the original pieces to whomever you like, or hang them on your own walls. Just make sure to advise friends and family to frame those works of art under UV resistant glass and never, never, NEVER hang the art in direct sunlight. So Are Prismacolors Right for You? Prismacolor pencils are perfect for uses like those described above, as well as many others I didn’t touch upon. By the way, the same applies if you make art mostly to teach others. In other words, if you don’t care to sell your originals, it doesn’t really matter whether they fade away with time or not. It seems a shame to me to put that kind of time into something that will fade whether you sell it or not, but it’s really up to you, the artist. Have a question about Prismacolor pencils I didn’t cover? Click here to ask me by email.